At PlumbersStock, we have everything including waterworks fittings needed for municipal plumbing. Most fittings won't work for this type of job. 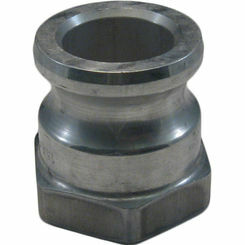 You will need industrial pipe fittings to connect large, heavy-duty pipe. 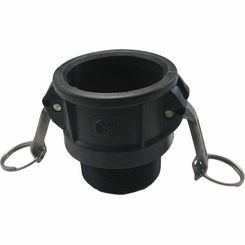 We carry many varieties of fittings, such as Camlocks, Camlock caps, hydrant boots, fire nozzles and many more. For those of you who consider yourselves novices in the Waterworks projects, brief explanations will be given below to help you find exactly what you are looking for. We truly care about our customers here at PlumbersStock, and that is why we’ve teamed up with high-quality companies. 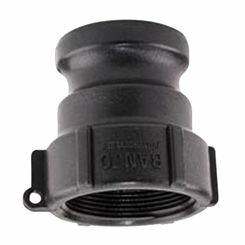 We carry American AVK, Banjo, Seal Fast fittings. Each of these companies has great reputations for producing quality products. American AVK is a leading manufacturer of fire protection, gate valves and fire hydrants in the United States. AVK has been at the forefront of technology in the production of products for the Fire Protection and Waterworks Industries for over 25 years. 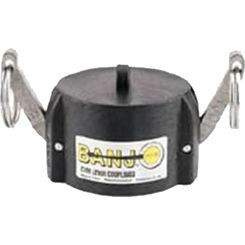 Banjo has been in business for 50 years. 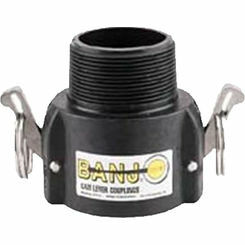 Their dedication to quality has helped them become one of the top producers of Cam Lever Couplings and other plastic industrial fittings in the United States. 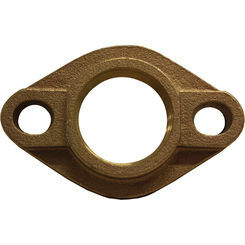 Seal Fast was established in 1965 and began to produce Waterworks products. The company is well renowned today for its dedication and service to the Plumbing and Waterworks community. From the very beginning, they began to manufacture Cam and Groove Couplings which are still made today. 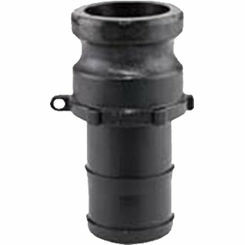 Camlocks, also known as Cam and Groove Couplings are used with both piping and hose applications. 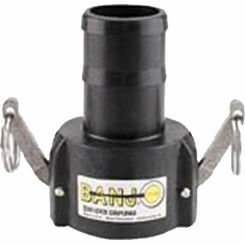 The specific benefit of Camlocks is to be able to quickly disconnect or connect to/from piping and hose systems. 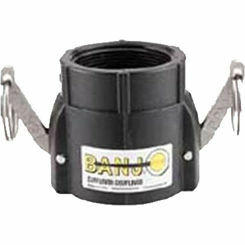 They come in a variety of materials such as both Aluminum and very durable Plastic. Many different diameters are available depending on what is needed for your project. 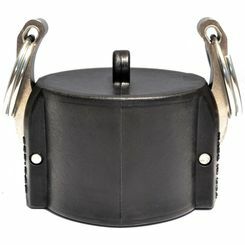 Camlocks can also come with both male and female threading or barbed for quick and easy connections. A good rule of thumb is to know what you need when you are purchasing it. That being said, Cam Locks come in 6 different categories with corresponding letters. 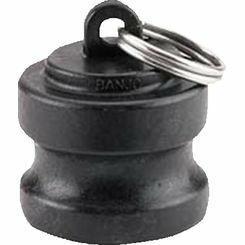 Type “B” includes a male threading and a matching female camlock end. Type “C”, includes a male hose tail and a female camlock. 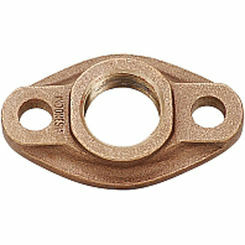 Type “D”, includes a female threading and a female camlock. Type “E”, includes a male hose and a male camlock. 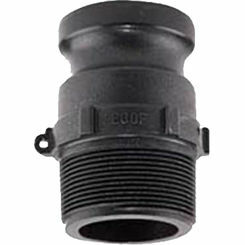 Type “F”, includes a male thread and a male grooved adaptor. 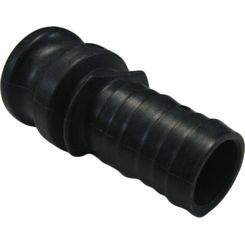 Swivel Hose Coupler fittings come in handy, because of the swivel motion that they create. 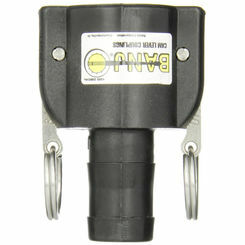 These fittings eliminate twisted hose lines and allow for easier use. 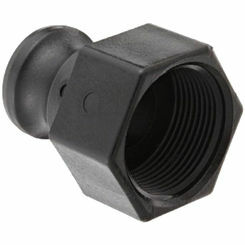 The Adapter fittings allow for you to connect two pieces of hose or pipe. They come in a variety of sizes and threading options. Dust Plugs and Caps allow you to cap off the end of a pip that is not in use. It is not always suggested to use these on high-pressure systems.  Hydrant and Hose fittings and products are available from PlumbersStock. 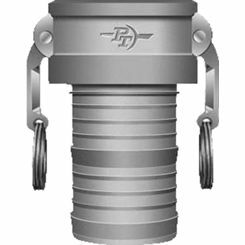 We carry a variety of hose nozzles for use with fire hydrant systems for warehouses and other applications. Here at PlumbersStock, we are dedicated to the needs of both contractors and do-it-yourselfers for you to complete your projects. With our wholesale prices, you will not find a better deal on the web. If you have any questions, please feel free to contact us, and we can help you with whatever you need. We have a professional staff that is willing to help you find the exact industrial pipe fitting for your project.